This Item is part of our Promo #8, #9 & #10, Buy three for the price of one deal. Please click Promo #'s for details. 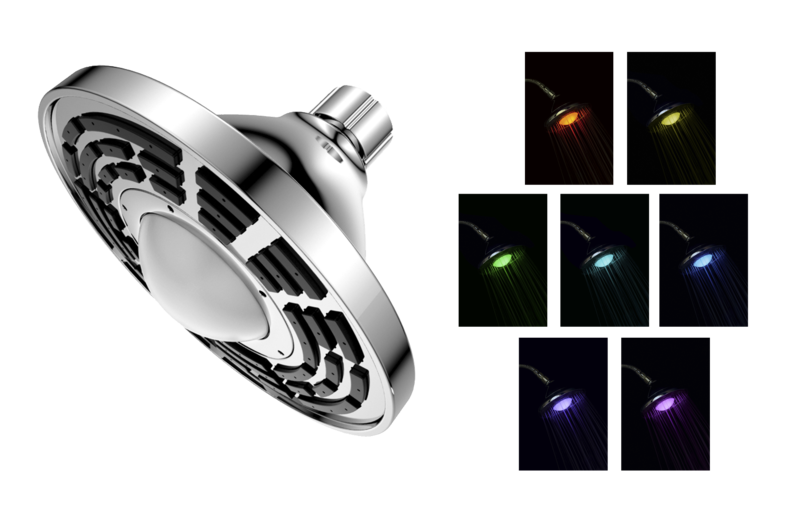 High quality and elegantly designed with Chrome finish, this shower head gives you exciting shower experience through unique dome style and 7 colors LED that change gradually in 7 beautiful colors.